Hossam Khairallah, former deputy of Egypt’s General Intelligence apparatus and expert in national security affairs, believes the current crisis Egypt is witnessing is "very delicate and needs to be understood and dealt with in a very sensitive way by both the president and his aides." In an interview with Ahram Online, Khairallah said that the presidency needs to be careful in the way it manages the crisis and be aware of the messages it is sending, "whether to the public or the state’s major institutions or the international community, keeping in mind Egypt's international image, which is in very bad condition at the moment." 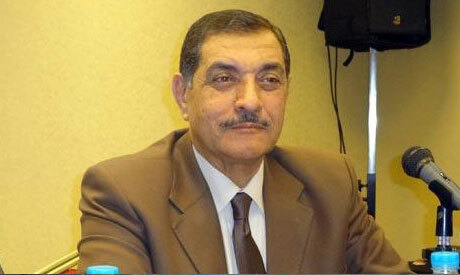 Khairallah explained that there were many indicators of bad crisis management by the Morsi administration. Informed sources told Ahram Online that General Intelligence had given the president a political situation assessment asserting that the only way out of the current crisis "was for the president to defuse all reasons behind the anger in the street within the coming 48 hours at most." "The role of intelligence at this moment is limited to putting a realistic assessment of what is happening in the street in front of the president and recommending the ways out of the crisis," said Khairallah. The recommendation now, according to Khairallah and sources close to General Intelligence, is for the president to withdraw his constitutional declaration at the behest of the masses and invite political forces to a comprehensive national dialogue on the basis of "no winners or losers." Informed sources told Ahram Online that intelligence had suggested non-embarrassing scenarios for the cancelation of the declaration by making changes to certain articles. Khairallah, however, questioned the ability of the president's aides and advisors to read the situation. "They lack political experience and many of their statements are actually sending negative messages to the military and the international community," he said, in reference to the new prosecutor-general's statements two days ago in which he threatened anyone who tried to organise a military coup with the death penalty. "What kind of message is this? Is it a threatening statement to the army, or an implication that Egypt might face a military coup?" asked Khairallah. A military source told Ahram Online that the army would not interfere in the current crisis "unless it is asked to do so [by the people]." Khairallah confirmed what the military source said, adding that "there are signs that the military is worried because of the current situation in general, but it is the only institution within the state that is cautiously calculating its movements, as it does not want to again find itself in a situation like the one it faced after Mubarak's ouster."